Senior Presidential Advisor Joseph Lambert is being investigated for death threats against two members of Parliament, Deputies Sorel Jacinthe and Levaillant Louis-Jeune. The death threats occurred while Lambert served as President of the National Assembly. Jacinthe and Louis-Jeune alerted the human rights body, National Network for the Defense of Human Rights (NNDHR), and the agency began an investigation into the allegations. NNDHR found evidence Lambert did indeed plot to end the lives of Sorel and Louis-Jeune, members of political parties, Espwa and INITE. NNDHR's findings prompted the deputies to file complaints with the Court of First Instance in Port-au-Prince on April 23rd. In a meeting president Michel Martelly is rumored to have admitted prime Minister-designate Laurent Lamothe had foreign nationality. Deputy Sorel Jacinthe had confirmed the rumors but when pursued on the issue he declined to comment. The meeting was first leaked by Senator Jean-Charles. It took place when the former prime minister resigned. Jean-Charles said that the meeting took place after the fall of Daniel Rouzier, Martelly's first choice of a Prime Minister in the summer of 2011. When the president was asked about the designation of Laurent Lamothe for Prime Minister the president said that he could choose Lamothe because he held citizenship in a foreign country. Deputy Sorel Jacinthe confirmed that President Martelly indeed made this revelation. All this is happening when Laurent is about to be sworn in as prime minister for the region as he was already sworn in by the senate on Tuesday night. What an accusation. The President of the Lower House was unable to be more diplomatic after the arrest of Deputy Arnel Belizaire. Sorel Jacinthe put it straight and clear: ""We are in presence of a dictator", in referring to the government of Michel Martelly. This is strong Statement here. 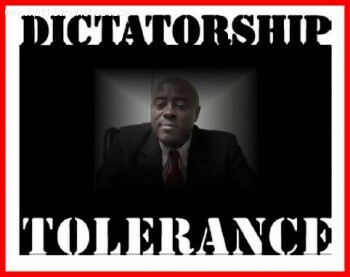 Is it true that Michel Martelly is a Dictator? In speaking to the press, the President of the Lower House, Sorel Jacinthe stated that:"I will not speak with emotions" and continued to inform the press that the government respects no one, it does not respect the law. He does what he wants of the people. He is the supreme leader and has a record on each person so he can do what he wants. Deputy Sorel Jacinthe reminded the Haitian press how the President has treated them. Is Guy Philippe involved in the death of Congressman Dionald Polyte? There have been rumors circulating that the death of Haitian Congressman Dionald Polyte was not an accident but rather a well planed assassination. The wife of the Congressman pointed the finger directly to Former police commissioner and head of the National Reconstruction Front (FRN), Guy Philippe for the death of her husband. According to the the wife of Congressman Dionald Polyte, Eva, her husband did not have to go out this way. Guy Philippe for his part denied that he was involved in the killing of Dionald Polyte. He also believes that the current President of Deputies, Sorel Jacinthe, is engaging in a smear campaign against him and that he is using the death of Congressman Dionald Polyte to tarnish his image.